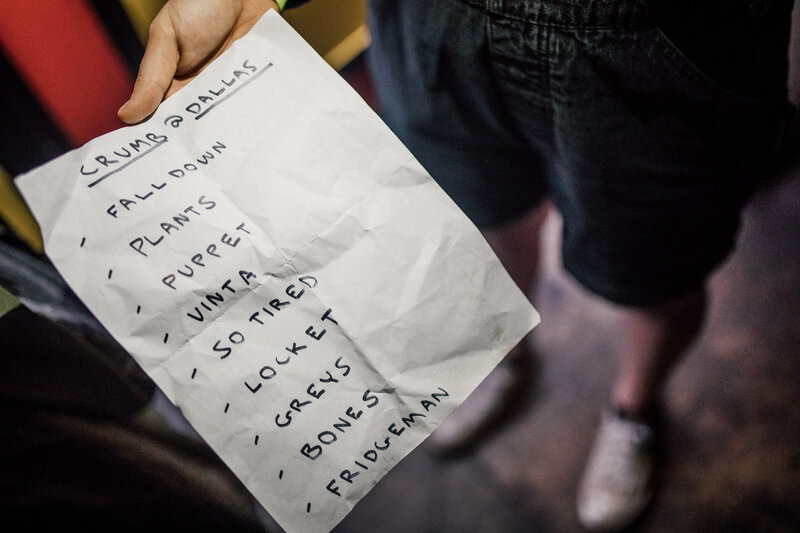 A wide range of sounds and many intimate moments warmed Deep Ellum this weekend. From electro-pop to punk, surf-rock to rap, there was a set for everyone at this year’s Not So Fun Wknd festival. Held at a few venues in Deep Ellum, #NSFWknd was a party from Thursday to Monday night. The notably sizable portion of younger people who came to see local and national acts showed just how important festivals like NSFWknd are to Dallas during the same week as South by Southwest, which isn’t as accessible for those under 21. Several acts who played Saturday, Sunday, and Monday made this year’s NSFWknd an unforgettable one. If there’s anything that makes a band’s set great, it’s the interaction with the audience. Bonus if small anecdotes about the songs are sprinkled in there — especially more intimate musings on, say, teen romance and lost pets. Chicago-based Ratboys took the stage at Trees Saturday night after Vundabar, Wicca Phase Springs Eternal, and The Frights. The members of Ratboys often refer to their sound as indie rock and post-country. Lead vocalist Julia Steiner shared tidbits throughout the set on the inspirations for some songs. The group set the tone in the room with fast-paced opener “Molly,” about Steiner’s sister. The most intriguing story shared was for the song “Elvis Is in the Freezer,” in which Steiner recalls memories of her cat Elvis who passed and was then left in the freezer for a while. “This one’s for anyone who’s ever lost a pet. They live on,” said Steiner, throwing a fist in the air. The set ended with “Tixis” from their album AOID and included a wicked solo by lead guitarist Dave Sagan. The most thrilling show of the night was Princess Nokia (Destiny Frasqueri) at Canton Hall. The rapper entered the stage to her hit “Brujas” and sent the crowd into a frenzy, jumping and chanting the lyrics out. Princess Nokia radiated with confidence and high energy, taking her sunglasses off from time to time so she could say hi to the crowd. 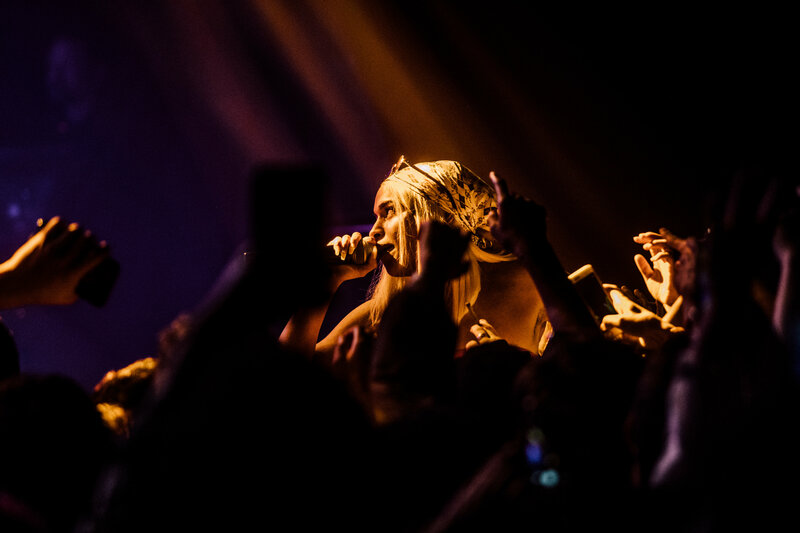 Since the deluxe release of her album 1992, Princess Nokia has gained a significant amount of recognition and has used her influence to promote safe spaces for women at her shows. Many in the crowd were longtime fans, and the energy made it easy to tell. When Princess Nokia broke out into her more aggressive and chaotic number “Kitana,” the crowd followed suit. 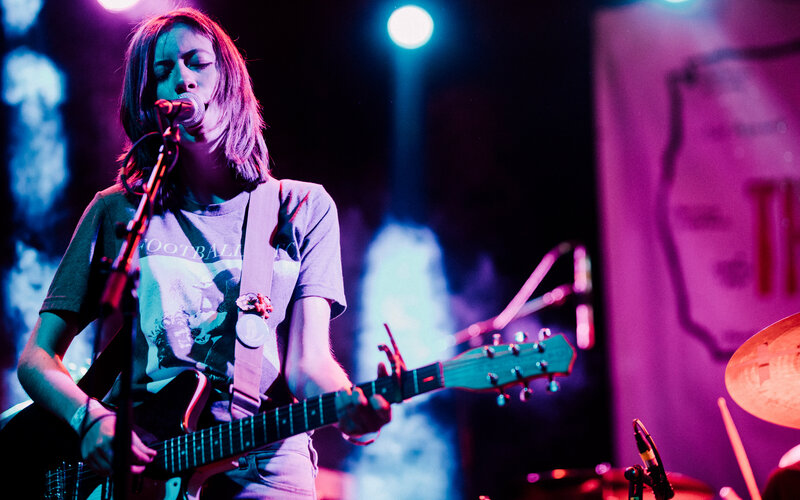 The set also included her breakthrough hit “Tomboy,” of course. Towards the end of the show, Princess Nokia let the crowd know that she was about to leave the stage to meet her fans. The interactions ranged from attempts at selfies to hugs. One fan shed a few tears. Princess Nokia then motioned for her DJ to play the next song, which ended with her crowdsurfing to Sum 41. 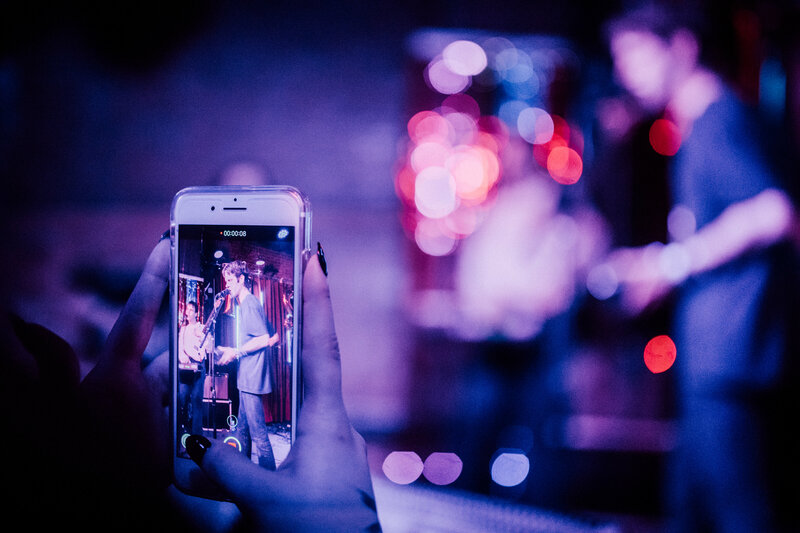 A couple blocks away, Porches played a sold-out show at Club Dada. The New York-based band played evenly from both albums Pool and their latest, The House, Porches’ attempt at minimalism and honesty. Although somber compared to Pool, it still follows the excitement of reaching a truer and purer sound. Frontman Aaron Maine set the emotional tone of the set with “Now the Water” and followed with “Find Me,” also about wrestling with the weight of inner conflicts. “Country” turned into a beautiful singalong in the room with simple keys in the background and just the right amount of volume in the vocals. The crowd cheered and clapped when the band broke out older hits “Braid,” “Be Apart,” and “Underwater.” The real treat though was the ending song, “Headsgiving,” from the 2013 album Slow Dance in the Cosmos. 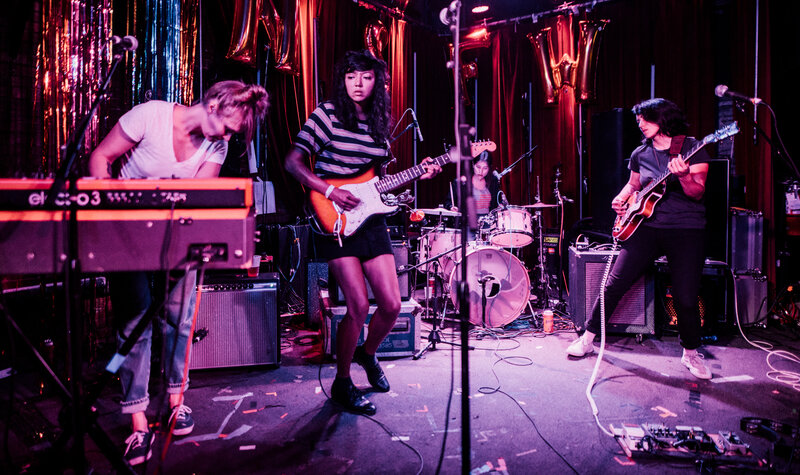 Highlighted by many blogs as an artist to watch for at this year’s SXSW festival, Crumb is crushing any expectations reserved for “psych-rock bands.” The New York-based group was eager to be back in Dallas a second time. The jazzy pop sound of Crumb has been compared to that of bands like Quilt, Melody’s Echo Chamber, and Tame Impala. Frontwoman Lila Ramani sang hazy numbers “Plants” and “Bones” before leading the crowd into “Locket,” which turned into a full-on singalong. Fresh from playing eight shows at SXSW, U.S. 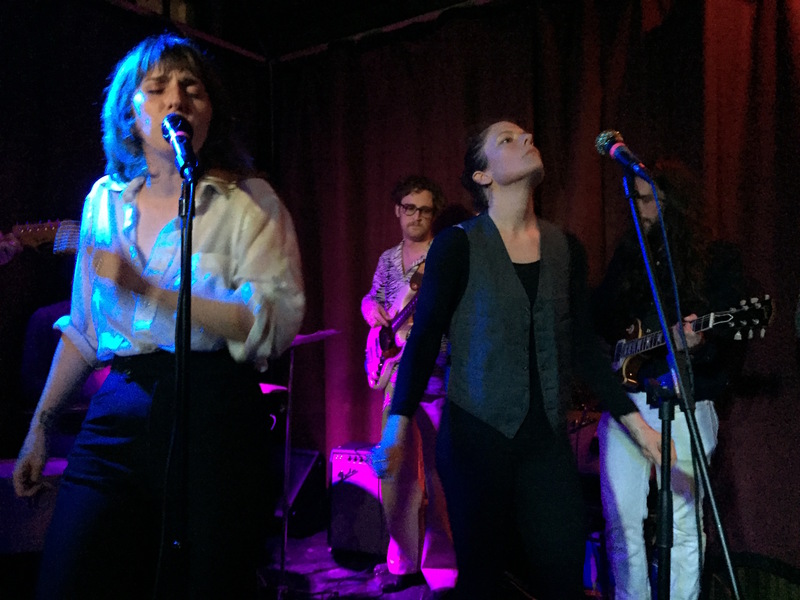 Girls brought a remarkable amount of energy for a Monday night at City Tavern. The band was supported by LA-based new wave group Ruby Haunt. U.S. Girls is the musical moniker of Toronto-based frontwoman Meg Remy, who was touring with a seven-piece band. Although the group is currently on the road in support of their latest album, In a Poem Unlimited, a familiar tune from Half Free called “Window Shades” started the night. In a Poem Unlimited carries a darkly humorous tone as the songs describe life in these times. Remy sings dreamily about anger and revenge, adding looping dialogues to depict the sinister voices we all have running through our heads from time to time. A blend of nostalgic disco, pop, and funk kept the crowd moving throughout the entire set. The band ended with “Pearly Gates,” a single from their latest.